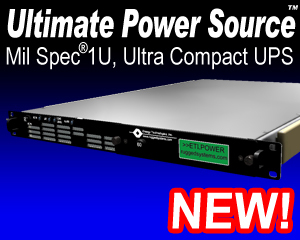 Reliable precision backup power is vital for all laboratory environments, whether you are working in Chemistry, Biosciences , Forensics, or the Physical Sciences. Since labs needs have such a vast range of needs, the functionality of their equipment and reliability of their computers are vital to their operation. The backing up of records is just as important to the daily operation of the labs, as the research that labs are conducting. It has been reported that the average laboratory uses five times as much energy and water per square foot as a typical office building. There are numerous contributing factors in why these labs are so energy demanding, including the need for fail-safe redundant backup systems and uninterrupted power supply (UPS) to protect irreplaceable lab experiments. UPS are increasingly utilized to provide a clean and continuous wave of power to high technology electronic components. The concept of power management has evolved with the proliferation of Internet and networking applications and the replacement of electro-mechanical devices by electronic equipment in manufacturing and laboratory sectors. In an extremely competitive environment, characterized by rapidly changing industry demands related to design and development of complex systems, mission critical applications require uninterrupted and reliable source of power supply for their widespread Internet infrastructure. Energy Technologies' field proven PowerStation™ UPS line is ideally suited for laboratory, military, industrial, medical and telecommunications applications requiring high reliability, rugged construction, compact size and light weight design. These units are equally suited for use in shipboard, airborne, vehicular, field deployed or fixed locations with controlled or uncontrolled environments. The "ETI0001-1240" is being used by the US Air Force ECMO Cart project because of their stringent performance and reliability requirements. The heavy-duty chassis, occupying only 3U (5.25" high) of rack space and 18.5" depth, has rounded metal corners and rugged handles front and rear, aiding in safe handling. The companion 2U (3.5" high) Battery Expansion Modules are designed to be daisy chained to bring the backup time to 4 hours in the typical configuration. In the typical ECMO Cart application, the base UPS unit and up to four Battery Modules are mounted in the lower underside section of the patient cart. Both module chassis are constructed of brushed aluminum to minimize overall weight. Internally, all major components are well secured and electrically insulated to prevent damage due to shock and vibration. The internal shielded input transformer provides galvanic isolation with provisions for domestic (115 VAC, CONUS) and optionally for international (230 VAC, OCONUS) input voltages. Special EMI/RFI filters and input power factor correction minimize both input current and harmonics. This special transformer and filters result in ultra low input leakage current required for medical applications. The unit also operates as a frequency converter, taking 46-440 hertz input and converting it to clean, uninterruptible 60 hertz power. The input switch and the galvanic isolation transformer all provide a double pole isolated source for systems or locations where phase references and grounding are not consistent. For scenarios that need hospital grade power immediately and no AC source is available to run the UPS, the Cold Start pushbutton allows the unit to start and run from its battery modules before external AC is available.